I have received some interesting communications via this blog over the years but the one shown below beats the lot — for all the wrong reasons! I found it rather amusing, but also quite offensive that someone should be so presumptuous, though not surprising considering the belief system of the person who sent this attempt to proselytize. Religion/spirituality/whatever is all so subjective anyway so what’s the point of trying to convert someone from one unverifiable personal belief to another? And it really is quite rude, no matter how “well-meaning” the intent might be. So, to anyone else who might be tempted to try to “convert” me, please don’t bother. I humbly come with an important message to share with you, I ask you please read the full message before you draw your conclusions about it. I used to study dragons and dragon magick, I was very zealous for dragons and passionately pursued communication and relationships with all sorts of dragons. I read the books, studied the moral teachings and firmly believed that they had my best interest at heart and were befriending me and offering to bring me spiritual enlightenment, and I believed that they were honest and sincere with everything in their teachings I had studied and researched. That was, until everything was changed forever in a very short period of time. I learned what was behind the teachings, and what these dragons motives are that they will not share with you, and they would do almost anything to discredit what I tell you, Topaz. I came to know the one by whom all things exist, the Son of God, that is Jesus Christ. The dragons did not like this, and I was attacked relentlessly, with vivid nightmares of them bringing chaos into my life. I would wake up screaming from a peaceful sleep. One nightmare, a group of them were in a room, all around, and they were trying to entice me to do things with them, immoral actions not fit to be written down. In another nightmare, groups of my friends were destroying themselves with drugs, etc. while a statue of a dragon watched it all happen. When I rebuked them in the name of Jesus, and prayed, God always protected me from them. Now, I haven’t had an issue with a dragon in a long time. These dragons are not in favour of spiritual enlightenment and good morals like they claim, in fact they are quite the opposite. They are actively involved AGAINST the God who created this universe. Jesus Christ, His Son, is the rightful Lord and ruler, however the dragons want to take the throne for their own selfish purposes, and they are willing to crush, manipulate and use anyone and anything they can to achieve this. 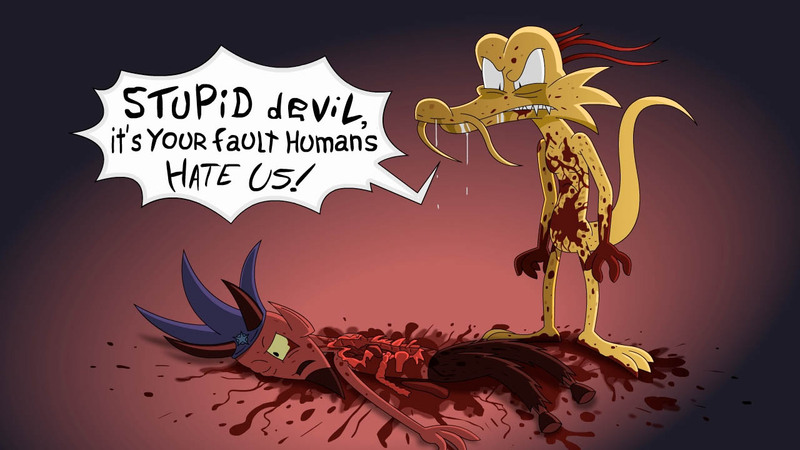 The dragons are morally “evil” in the purest sense, they have no care for any “right or wrong” they will do anything to achieve their goals, even if it means one day turning on you, Topaz, when you are no longer deemed “useful” for them. He is a unique individual. He is infinitely Holy, Just and righteous. He promises, by His word and prophets that for every evil action there will be Judgement. Being Holy, He has no room for evil in His presence. He has moral codes that all creatures are to live by (don’t steal, don’t commit adultery, don’t murder, etc.) We are warned that these dragons, and people, who follow after Satan (rebel angel), and lead others into idol worship (false gods/deities), will be cast into eternal judgement. This is where Jesus comes in, Topaz. I don’t know you personally, but I care about you. I want your eyes to be opened, I want to see you bask in the love and glory of a Holy Just creator who loves you and would never lie to you, and would (did) literally suffer death on a cross to save you. God sent His only Son into the world, who knowingly allowed Himself to be crucified and nailed to a cross and killed, because He loves you. He did this because in His blood, by calling on His name, all your sins (moral wrongs) are washed away, and you can be brought into a relationship with God and given eternal life in His kingdom. You just have to reach out to Him. Please don’t follow the dragons into judgement, when God is so willing to wash away all your past and give you purity, love and Holiness. This is the truth that these dragons hate. This is why they were defeated. The cross is a reminder that the power of death that their leader Satan once had, is no more. Death is defeated and all who call on Jesus Christ of Nazareth are given eternal life and sanctification. Thank you for taking the time to share your experiences with me. However, they are your experiences and your beliefs, not mine. I do not share your ideas about the benevolence and love of the Christian god and as a result I want nothing to do with him. I am quite happy walking my current path with the Dragons and do not feel a need to change, in spite of your religious rhetoric. Let’s just agree to disagree on the nature of Dragons and respect each others right to free will and choice when it comes to one’s personal spiritual beliefs. Image credit: “Dragon Killed Satan” by BrianGatorComic — newgrounds.com/art/view/briangatorcomic/gold-the-dragon-killed-satan — text on image altered slightly by Topaz Drachen. This entry was posted in Draconic Miscellanea and tagged Christianity, dragons, religion. This sounds so much like a message I got on Facebook a while ago. It was from someone I knew from the Dragonkin community years ago, apparently they had found Jesus and hoped to save me from the ‘demonic dragons’. As I was a bad influence of their ‘new’ life, they were compelled to unfriend me, but not any of the other dragonkin friends they had on their friend list…which I found a little weird. They tried friending me back afterwards, but I decided I just don’t have the time or energy to deal with such nonsense, and cut ties with them. As it comes to experience with Dragons I sensed somehow following situation. I don’t know how much if at all it fits reality, but it appeared nevertheless. I “think” the Dragons has seen this person deeply in heart, that the one fears them and still has presumptions about them. The arranged dreams has torn this to the surface and it manifested how quickly the person has changed their mind. One might say there is a loophole in this. But as far as I know Dragons, after one uses many chances to no effort, they are rather likely to “prove” one’s deep, hidden feelings in order to make a person to face them and decide rather than infinitely pretend they’re not there. My attitude towards Dragons is that whatever they do to me, they just can make me sad at worst because of it. Yet I still love them with all my heart. In more extreme situation I would stand my ground to defend myself, yet I would never actually fight them or find evil. I have this presence of Jesus Christ at my desk also around the figurines of Dragons. Although I don’t find myself to be Christian, I honor his message. Yet I have doubts how many Christians actually understand it. I am no Church authority to decide is it “right” understanding or not. It was said Christianity is about spreading love, compassion, brotherhood, message of life after death, the resurrection and hope. Yet the Christians seem to rarely celebrate the said image. There are the crosses with martyred Jesus on them everywhere, focus on the death, sins and the like. Part of the Christian community goes further and tries to dump the whole fault on Devil (the Dragon by synonym), and even more – the Christian God and Jesus Christ as one of him “fight him to free humanity from sin”. Where in reality the people decide finally what they do and do they find it a sin to be ashamed of. It is said that Christian God gave free will to its creations. It means by itself the Devil is as innocent as everyone else, and if there anyone to blame or fight it would be us all. Here we can decide whether Love between possibly everyone is more important to us, or the rumors by which we start wars, whether spiritual or physical. I can understand the other, but I will not accept inconsistencies or forgetting the reality. And the Dragons helped to see my own part in the world and how it is influenced by sole me. Topaz, although you found that rude to you, I personally can understand the motivation of this person. This one wasn’t the person, who just finds plain pleasure in converting someone to one’s faith, spirituality and worldview. This one was really concerned about your wellbeing and wanted to warn you. Of course it doesn’t mean you should throw away your own experiences, thoughts and feelings. I just understand this person’s situation. I perceive it as Dragons have thrown that person into worldview in which one will sincerely find right place. Even though it is version of Christianity that isn’t in my opinion much consistent with itself, but nevertheless it might fit someone’s needs. I’m not sure even should I pray for peace to this person as one has spiritual warfare-like worldview. Same I “think” your “Dragon Blessings” may mean now to this person a curse. Especially because one didn’t manage to take you away from Dragons and that person can leave its opinion and experience for itself. Or, oh well, one can share this with thinking alike people and pat themselves on the back, because they know the truth and will be saved, while others condemned. This works this way. Well I would rather be a devil among devils, but myself. It’s just game of words and base for manipulation of mind, not a real life actions and their true meaning. Ironically in Bible it is difficult to find particularly what kind of evil the Devil does by itself. Rather the Christian God commits much of cruel actions toward the ones, who don’t acknowledge him as he would wish. This is much “devilish” to me actually and I would personally consider how one’s is deceived by supposedly “holy” Christian God, who is the actual Devil in this way. It depends heavily how to look at it. And being into the story the Dragon (Devil) rebelled against the “good” Christian God, I’m with the Dragon by all my heart and what I value in life. 🙂 What kind of benevolent God needs death of his son in other to forgive humanity? Or worshipping at all, otherwise one will be judged and condemned? That is of course just my opinion, thought, feeling and experience. I just found this blog. I think you should know that Seraphim were originally depicted as Dragons. Fiery Serpents of Gods Love.